Eleven genuine "AA" rated emerald gemstones are set in a 14k white gold band. Most emerald gems on the market today are low quality, "commercial" grade. The difference with this band is that our emerald gems are quality, consistent, diamond-cut emeralds. 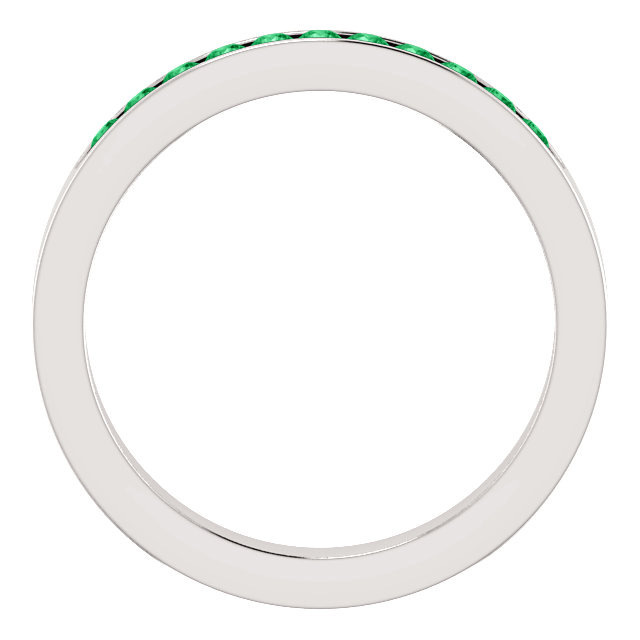 Each authentic emerald measures 1.75mm in size and is set in a 3.1mm wide band. You can choose from 14k white gold or upgrade to platinum. Optionally, engrave the inside of the band with up to 12 characters (including spaces). 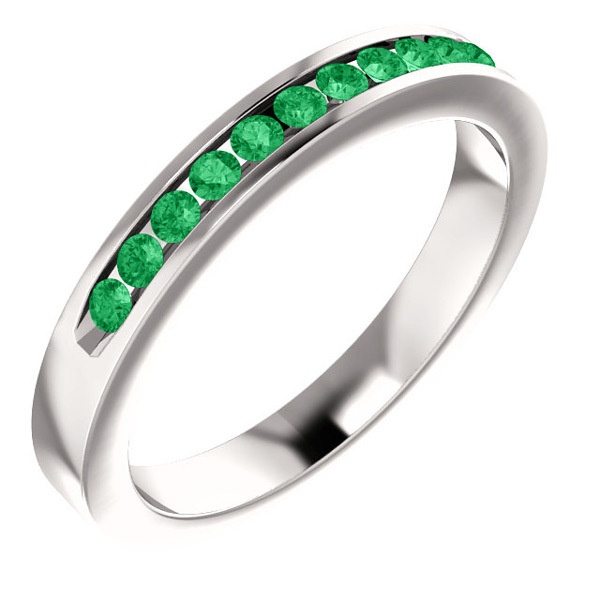 We guarantee our Eleven-Stone Emerald Band in 14K White Gold to be high quality, authentic jewelry, as described above.